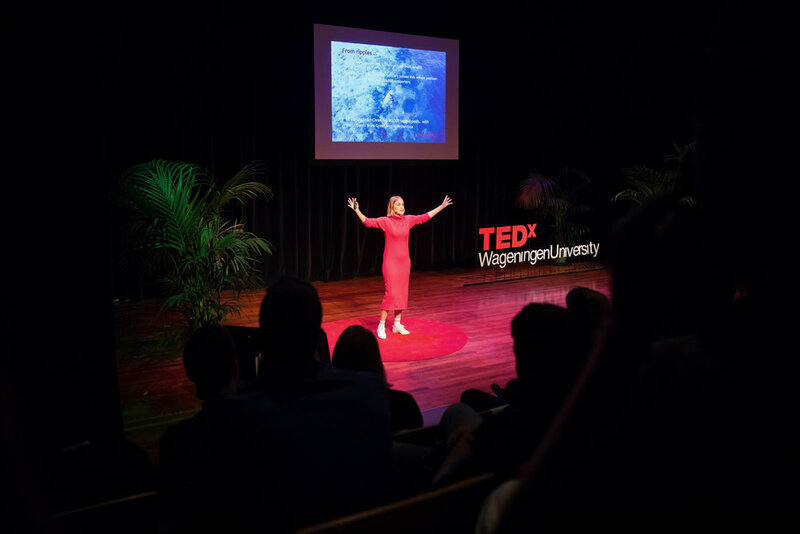 I finally get to share my TEDx talk with you. 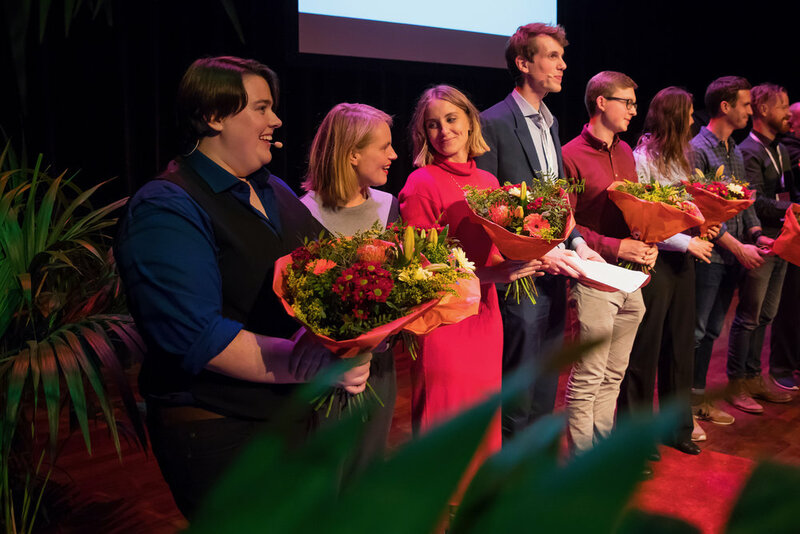 It’s about the power of social media to organise and promote environmental activism but in it I also manage to wave my mooncup around on stage, throw a tampon applicator at someone and say ‘poo’ three times. 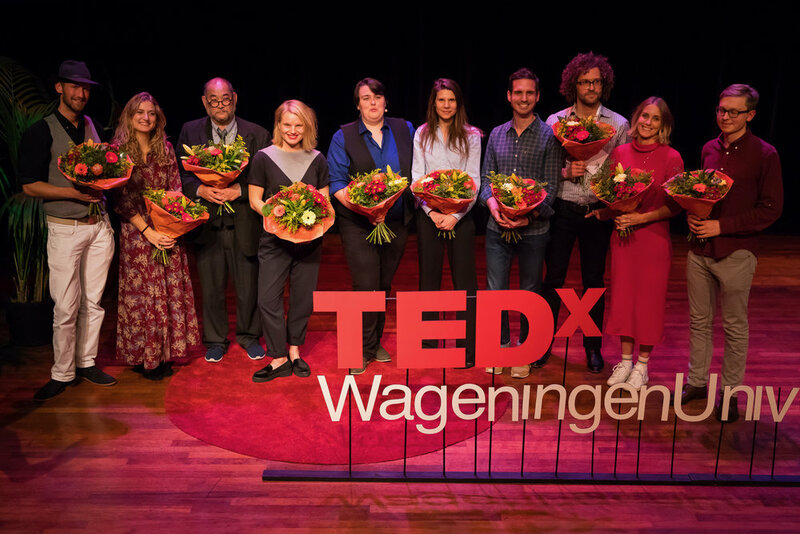 Thanks to TEDx Wageningen for inviting me to speak. Thanks to Nick Pumphrey and Ricardo Bravo for letting me use their beautiful photos. Thanks to Liadain Aiken for knitting me this lovely dress, ZM Jewellery for making my recycled silver necklace and Veja for my eco trainers. And most of all thanks to my boyfriend Jonny Weeks for listening to me practice every night, snapping photos of me on stage, editing the video and sitting on a dog poo five minutes before I went on stage. LOL. I’ve included a manuscript below for people who are Deaf or have hearing impairments. 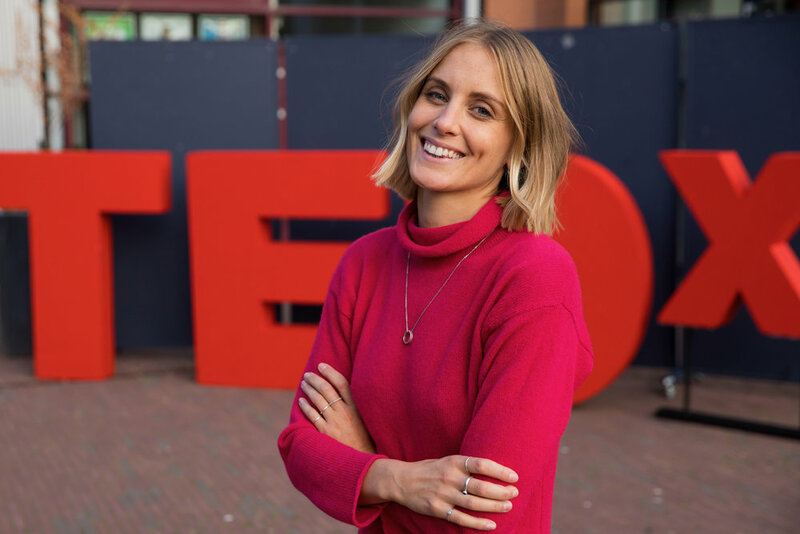 All photos from the TEDx event were taken by Jonny Weeks. Hi! I received a slightly peculiar message the other day that I want to share with you guys. It read: “whenever I go on dog walks, I’m forever picking up bits of plastic and discarded bags of dog poo, and it sounds weird but it always think of you…” Yeah my first thought was that’s a bit weird! The writer then went on to say she’s been trying to live a more green lifestyle since following me on Instagram, and that my photos of beach cleans have been really motivating for her. It's not the first message I’ve received, and it won’t be the last. In fact, getting these kinds of messages has made me realise social media one of the greatest tools we have to organise and promote environmental activism in our communities. Before I tell you why, let me tell you a bit more about myself. I’m a surfer, I grew up surfing, it was all I ever wanted to do. I made it my career, somehow – surfing is a real job – and with my career I ended up travelling the world and competed on the British and English team. My travels, five years ago, they took me to the Maldives, it was surfing there where I first saw the depths of plastic pollution. The Maldives, I don’t know if any of you have been there? It’s a beautiful country. However, being one of most densely populated countries in the world, combined with being a nation of islands and the huge influx of tourism doesn’t leave a lot of room for rubbish so, guess what they did with it? The made an entire artificial island to process the trash. The scale of it is pretty horrific, sometimes you can see the smoke billowing off it from the plane when you fly in. The sheer volume of plastic consumption in the Maldives is out of control, and it’s not always disposed of it carefully, and sadly, this situation is not unique to the Maldives. Globally, it’s now estimated that there are over 5 trillion pieces of plastic in the oceans and that's not even including the micro-plastics which are entering our food chains and now being found in human poo. 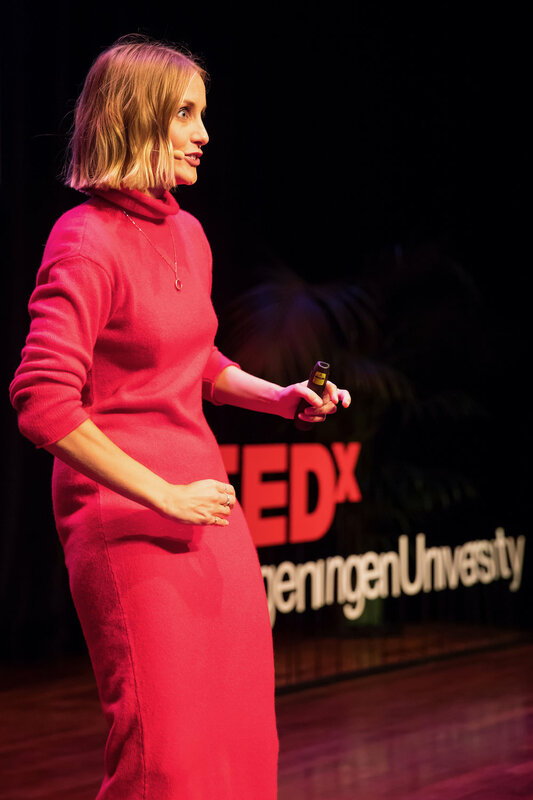 I’ve said poo two times in my TED talk now! The ocean had been my playground my whole life, I grew up playing in the sea, and after my trip to the Maldives, I knew I had a responsibility to protect the oceans. 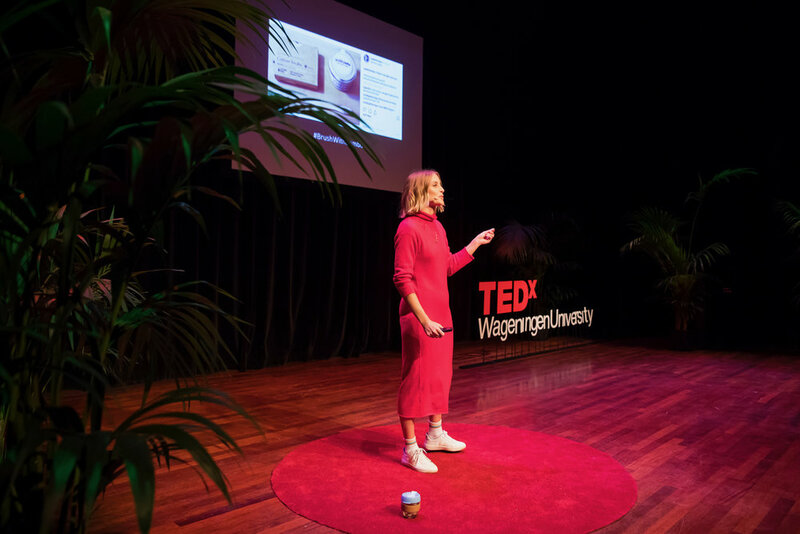 When I got home I began to implement small changes in my own everyday lifestyle choices to reduce the amount of plastic I was using, and I began to share them on my social platforms which thanks to my surfing career have quite a good following. The first thing I did was join a movement I’d seen online, the re-use revolution, and I started taking my reusable coffee cup with me wherever I went. I was probably a really annoying smug person that told all their friends about their coffee cup all the time, but think about all the single use coffee cups I’ve saved myself using in the last five years. I shared that with my followers with the hashtag where I’d first seen the movement, #reuserevolution. I also started seeing lots of plastic straws washing up on the beaches, so I bought a reusable straw and started carrying it with me and I shared that with my followers too, because #strawssuck. The next change I made, toothbrushes. Quick toothbrush story. I organised a beach clean last week in Ireland with a group of women. One of the women on the beach picked up a toothbrush and said “Why has someone been brushing their teeth on the beach and left their toothbrush behind?” I laughed, but looking back it was quite a rational question. See I’m used to seeing plastic toothbrushes wash up on the beach all the time. So I switched from a plastic toothbrush to a reusable sustainable bamboo one and I shared this with #brushwithbamboo. Another change I made to drastically reduce the amount of plastic packaging I was taking home was by starting to buy bulk and shopping at the local farmers market. The lifestyle I’m aspiring to? #zerowastelifestyle. And perhaps what I shared online with my followers which got most conversation and awareness about plastic pollution were the beach cleans I did every time I went for a surf. That’s quite a lot of beach cleans because I go surfing a lot! I shared that with the #2minutebeachclean because often it was just two minutes. I bought an item with me that I found at the last beach clean I did. Does anyone know what this is?! That’s right, it’s a plastic tampon applicator. I know it’s probably a bit of a taboo to talk about menstruating especially in front of a large crowd but lets do it anyway. Both tampons and sanitary pads contain single use plastics, and in the UK it’s estimated that 2.5 million tampons and 1.4 million pads are flushed down the toilet every day. 2.5 million tampons a day? That’s a lot of tampons. They enter our sewage systems and many of them make their way into our oceans. Unfortunately I do have an experience with a used sanitary pad when I was surfing, that landed on my surfboard and nearly hit me in the face when I was paddling for a wave, so I do have a personal pet hate for sanitary pads! [throws tampon applicator off stage] Don’t do that! Luckily, there are lots of reusable alternatives to traditional single use period products; my favourite being, I’ve bought it with me to show you, the moon cup! If you can’t see this luckily I’ve prepared a ginormous slide [large photograph of menstrual cup appears]. The moon cup, or menstrual cup to give it its proper name, is a reusable menstrual product that more and more people are opting for. Incase anyone out there has no idea what this is, I’ll give you a quick onstage explanation. I was told not to say demo as you’d all get a bit worried! So what you do is, when you are menstruating, you fold it, pop inside yourself, leave it there for about 8 hours and it collects the blood, and you just rinse it out and re-use it. And that’s the key to it, it’s reusable, so you aren’t chucking tampons down the toilet so it finds its way to ocean or landfills. I made the change to a moon cup a couple years ago and I shared all of my experiences using it online with with my followers in quite a lot of detail, much to some peoples embarrassment. I shared that with a hashtag I’m really passionate about, #plasticfreeperiods. I know that policy change at government level is what is ultimately needed to enforce sustainable solutions and regulate things like the fishing industries or the fashion industry that we heard about earlier. However, as the stats show, collectively, using tools like social media, we can all create meaningful change. the #reuserevolution – where you reuse your coffee cup and don’t use single use ones – that has diverted an estimated 3.5 billion disposable cups from landfill in the past decade. The #strawssuck was taught to a class of primary school kids in the uk. They used it to write a petition, they got over 100,000 signatures and took it to government and that has become part of the reason why plastic straws are now being banned in the uk. And one of my favourites, the #2minutebeachclean now has over 90 thousand posts shared online of people doing their two minute beach cleans. Now 90,000 may not sound like a lot, but it was just a small hashtag started by a guy I know in the south west of England, and seeing over 90,000 people do their bit to raise awareness of plastic pollution all the way from Greenland to Antartica, it really fills me with optimism. So what I really want to say is that every change we make, and every thing we share online, it really can have a positive impact. I might just be creating gentle ripples, baby waves, with what I share online, but i know they are part of a much bigger wave. So, what can you do? I read on google all good speeches have a what can you do section. I’m sure many of you here today have already made changes in your lives to be more environmentally conscious, but I’d love it if you all made a change and shared it with your community. If you’re online, whether you have 100 followers of 100,000 followers, you have the power to be a change maker. And even if you’re not on social media, share it with your friends, your family, your colleagues, or the person behind you at the coffee shop who’s looking at your reusable cup wondering where the hell you got it, or next time your girlfriend asks to borrow a tampon say ‘Hey! have you not heard of the moon cup? Jeez!’. Inform them of the decisions you’ve made and let them decide if they want to follow. I’m hoping you’ll be surprised how many will. One last thing before I leave, if you’re ever doing a beach clean and you do find yourself picking up plastic tampon applicators or bags of dog poo that other people have left behind, please feel free to share them with me!